If you are a mod maker, and you want to help, please post here! 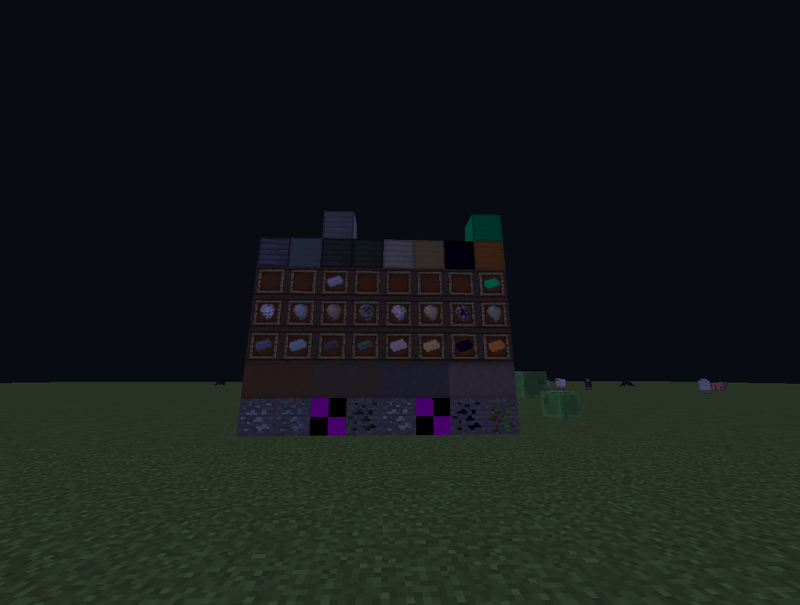 I have a huge idea in my head, and Aesthetic blocks/ores and metals have been created. What am I (Karrotsmuthi) doing? Texturing and Building, beside leading the group. A mod that recreates minecraft into an Elderscrolls theme. it focuses on Skyrim, the latest of the series, but includes Morrowind, and Oblivion. It would add new world types. One that randomly generates Elderscrolls-themed biomes with respective ores and building generation, one that generates with the Morrowind base map. Maybe eventually, we will have it generate the cities like in the original games. One that has the Oblivion basemap, and one with the Skyrim one. Morrowind. I have watched Skyrim and Oblivion being played as well. We are working on biomes and custom structures. Choose 1-2. f you are interested, please fill out the form in a post below. Thanks! What can I do right now??? Elder Scrolls themed mob models, and block models. Code in the blocks and items as they are textured. Create new biomes with new stone, dirt, plants, structures/trees, and spawns. Start work on some good Elder Scrolls themed buildings. Share the project with friends and spread the word! Here's a full listing of priority tasks in somewhat of an order. (Now) Aesthetic Texturing, Aesthetic Block Modelling, Planning/Idea making, Advertisement. Basic Building, Further Planning/Idea making, Aesthetics, Advertisement. Adding trees and other basic natural structures. Adding plants (Not growing plants). Aesthetic Block Modelling, Planning/Idea making, Advertisement, adding mobs. Check out this YouTube channel! Could you fill out the form? It wasn't there when you joined, but I'd like to know. Which ones of the series have you played? And which have you watched being played? : I have played/beat Skyrim and Oblivion, I have seen Morrowind played multiple times. Hm... Nobody is seeing this post... That's no good. We have some planning down, now for the legal issues. Legalities beside, I can fully work on the mod. I can help out with the aesthetic blocks(basic coding)! I'm pretty good at java, but I'm not all that used to modding Minecraft yet. I have actually made my own mod, though, but it's still just a baby lol. So... do you have a copy of your code/a github that I can work with? Lol this sounds exciting, I wanna help out! Sweet! I'm so glad to have a coder, thanks for viewing the post! P.S. Could I get a copy of the finished block textures so that I can set them up? Which ones of the series have you played? And which have you watched being played? I have played a little bit of Skyrim(Elder Scrolls V) and have watched my brother play Skyrim and Oblivion. Hmm, the program that LutzBlox made is really cool, but it seems to error out a lot and I keep having to go back and edit class files... Does the mod have to work with forge? I have the source code for minecraft 1.7.10 client and server ready to go(installing a mod made this way would require extracting from a .zip to the .jar and deleting the META-INF etc etc, but woudn't be too hard), so if I could implement the mod directly into the source code then recompile it, it would be easier to do. Thoughts?